Holidays can often be as lonely as joyful, making the release of "Conduit" the perfect time for soulful inspiration. When we are at a point of incredible weakness, a visit from a Conduit of God would be a welcome gift. The short film "Conduit" offers VOD audiences a moment of pause to experience the possibilities of heavenly intervention. The film will also give viewers the opportunity of opening discussions with loved ones following the featured content, based on the film's inspiring theme. 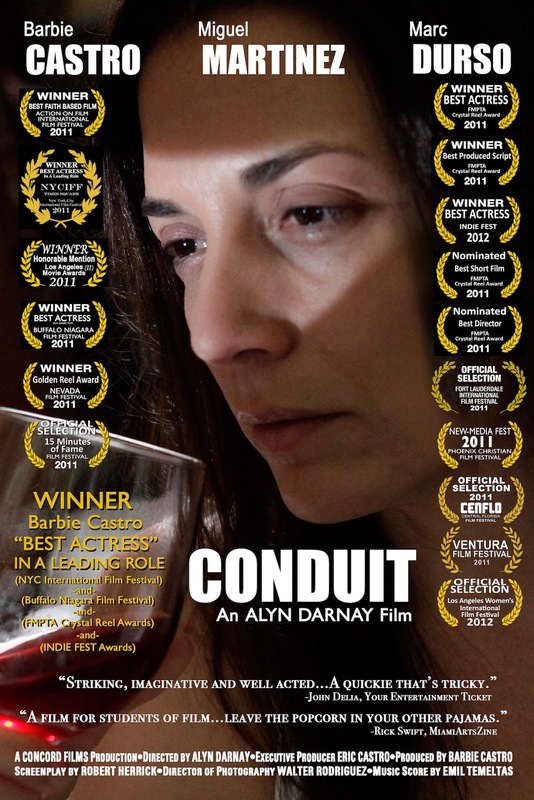 "Conduit" is the winner of over 17 prestigious awards including for Barbie Castro, "Best Actress in a Leading Role" by NYC International Film Festival, Buffalo Niagara Film Festival and also FMPTA Crystal Reel Awards. "Conduit" is a story about Susan, a woman feeling hopeless with despair. While home alone, and in a potentially life ending situation, a man comes to her door claiming to have a message that could change the course of her life. It is a quiet yet powerful film with messages that resonate long past the end of the film, hosing a small but talented cast. 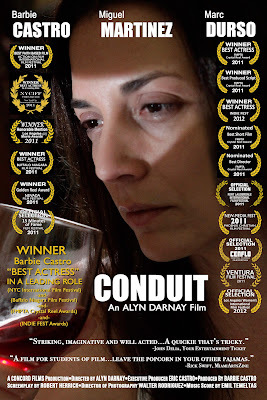 Directed by Alyn Darnay and written by Robert Herrick, cast for "Conduit" includes Barbie Castro (Boyfriend Killer and Girlfriend Killer), and Miguel Fasa ("Killer Island" and "Dream Killer"), along with Marc Durso (ActTrue). "Conduit" is produced by Concord Films. Eric R. Castro and Barbie Castro are Executive Producers, and Robert Herrick is an Associate Producer. Cinematography is by Walter Rodriguez, and music by Emil Temeltas. "Many people have moments of despair and I am excited to release this film to offer an opportunity for thought provoking pause and encouragement." Barbie Castro, President of Concord Films, said. Barbie Castro, President of Concord Films is both a talented actress and visionary leader producing films of entertainment, and also thought-provoking films such as "Conduit." Concord Films enjoys a history of success with Lifetime/LMN Network, and worldwide viewing audiences from various international networks and VOD platforms.